At Gonzalez & Cartwright, P.A., we work hard to provide top quality legal services to clients who have been injured in Palm Beach County and other South Florida counties. With more than three decades of combined experience, our attorneys are well aware of how challenging it can be to recover from a slip & fall accident, not to mention how challenging it can be to deal with a potentially at-fault store owner and his or her legal representation. That’s why we are dedicated to protecting the rights of our clients, many of whom come from the local Hispanic community. 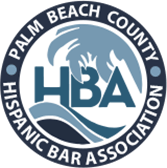 In fact, almost everyone in our office is bilingual and we have a long track record of community service in the Hispanic community, making us ideal for representing Spanish-speaking victims. So if you’re in a need of a Boynton Beach personal injury lawyer our firm should be your first call. How Does a Boynton Beach Slip & Fall Accident Happen? There are a lot of reasons why a slip and fall accident might occur, but the accidents that result in the most serious—or even catastrophic—injuries tend to be caused by unaddressed dangerous conditions. Cords stretched across an aisle or other walking areas. While it might seem difficult to envision how a patch of uneven carpet or a poorly lighted space can cause a catastrophic slip & fall, we’ve seen it happen all too often. In fact, even a relatively innocent looking fall can result in serious or fatal injuries. And a fall from a great height, onto a hard surface, or into a sharp object makes catastrophic injuries even more likely. In the decade since we opened our law firm—plus all the other years that our attorneys have been practicing in South Florida—following are just some of the injuries that we’ve seen. Obviously, many of these injuries are life-changing, have long-term consequences, and can negate a victim’s ability to work. That is why we recommend that you document the accident scene as carefully as possible in the immediate wake of your accident. Then, should you decide to retain our firm following your free, no-obligation consultation, we will get to work to protect your rights while you focus on recovering from your injuries. Obtaining any video surveillance evidence that exists. Gathering the testimony of witnesses. Determining whether the property has a history of accidents due to the unsafe condition in question. Last but not least, we will help document and quantify the injuries that you sustained. But because the property owner may take steps to repair the conditions that caused your accident, we encourage you to contact us as soon as possible. One of our experienced attorneys will evaluate the scene and circumstances surrounding the accident to establish liability, including establishing whether the property owner breached the applicable duty of care. If you slipped and fell in a retail store or on someone else’s property, contact a South Florida slip and fall lawyer either via phone call or by filling out our online contact form, to relate what happened and be advised of your legal rights and options. We offer a free initial consultation at our office in downtown Lake Worth, or we can travel to the hospital or your home to meet with you at your convenience. FAQ: Will my award be less if the court determines that I was partially responsible for the injuries I sustained in my slip & fall accident? Florida is a comparative negligence state, so the answer is yes. 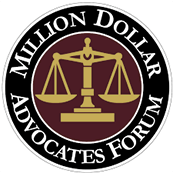 So, for example, if the court determines that a retail store was 75 percent at-fault and you are 25 percent at-fault then a hypothetical $100,000 award would be reduced by $25,000 and you would get a judgment for $75,000. FAQ: Do I have to go to trial to receive monetary compensation for my injuries? Not necessarily. In the majority of cases our attorneys will negotiate with the property owner’s attorney or his or her insurance company to reach a full and fair settlement without going to trial, which is a long process that defendant’s typically try to avoid. The insurance company will likely attempt to settle at an improperly low value, so it is important to contact an experienced slip and fall accident lawyer to advocate on your behalf throughout the negotiation process.